The church has 3 organs! Henry Lincoln built the famous Lincoln organ in the 1820s for St John’s Chapel in London. 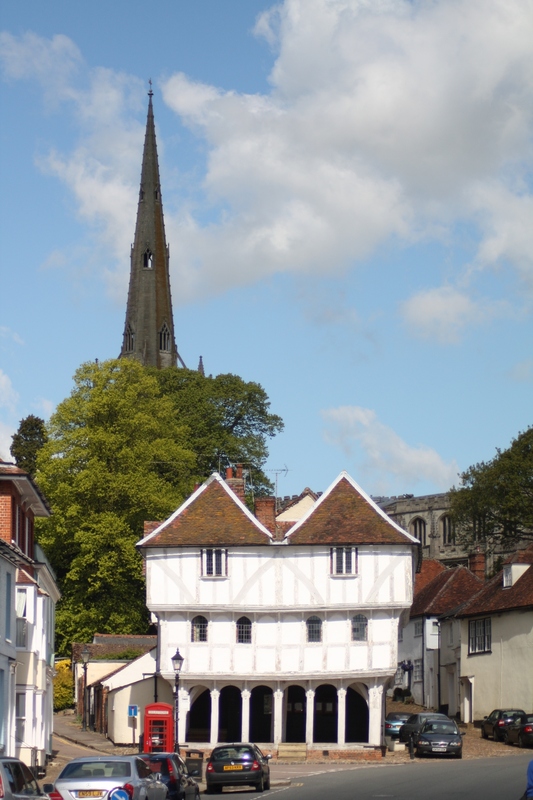 It has belonged to Thaxted since 1858, and following its restoration, has pride of place. Gustav Holst was organist here, and Ralph Vaughn Williams also played the Lincoln organ. In 1916 Holst’s Whitsun Festival was the first Thaxted Festival. For more information about Thaxted’s music festival . The fascinating Stellar, which the Church installed in 1910, is a magnificent star-shaped candelabra. It symbolises the Christmas story. There are 3 sets of 14 lights representing first the 14 generations from Abraham to David. Then, 14 generations to the flight from Egypt, and a further 14 generations until the Nativity. Finally, below hangs a sphere representing the world lit by Christ. There is much to appreciate in the church, but visitors will also enjoy the medieval town, the jewel in the Essex crown. 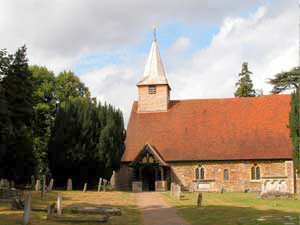 The parish church here probably stands on the site of a wooden Saxon church. 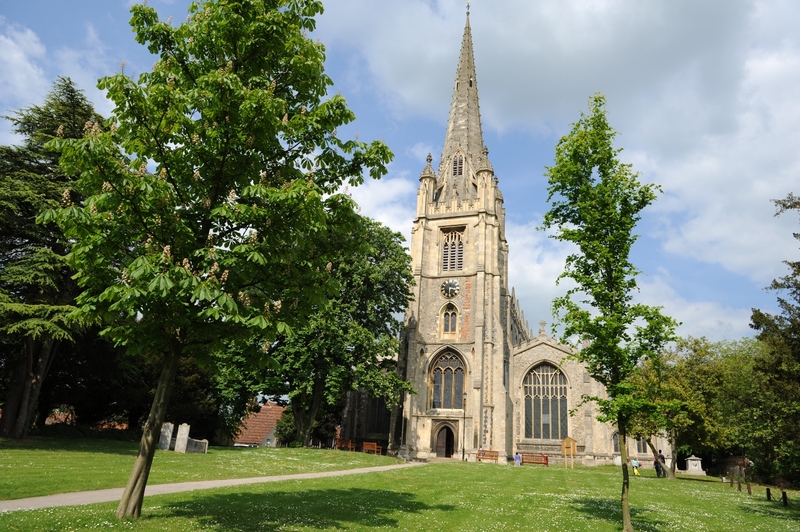 The church is the largest in Essex and has the saffron crocus as its emblem; it tells the history of church buildings. The original church here may have been Saxon, which the Normans replaced. The architect was John Wastell, designer of the fan vault in Kings College chapel, Cambridge. They replaced that church, using wool money, with a Decorated church in the 1400s, and some parts of this survive. Later it gained Perpendicular nave and aisles. In the South Chapel of the church, is the tomb of Lord Audley. He filled Thomas Moore’s shoes as Lord Chancellor. Then, as the judge, he presided over the court that condemned Moore to death. The King rewarded Lord Audley for his enthusiasm for the dissolution of the monasteries with the gift of Walden Abbey. The site is now Audley End House. South of Colchester, just off the A12, the church at Copford is worth a detour if you are in the area. St. Michael & All Angels church, Copford, is special. It is has a pretty woodland setting beside the village cricket pitch, its architecture is pleasing and the Norman wall paintings are unique. 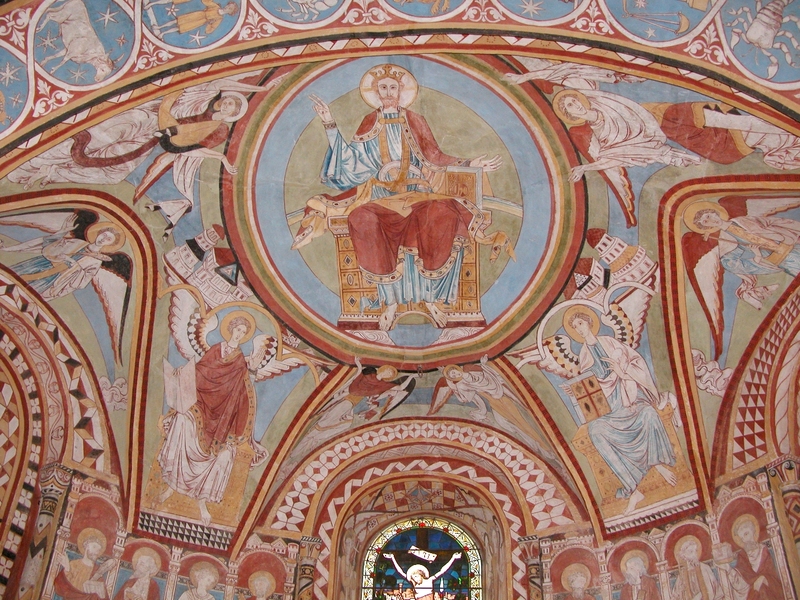 The Norman paintings, uncovered in 1691, had whitewash covering them. In the C19th the church uncovered and restored the paintings. The church walls consist of Norman and Roman brick with some rubble. It unusually has an unaltered semi-circular apse. The apse, chancel and some of the nave date from 1120. Bishop Bonner died in the Marshallsea in 1569. And, according to the paperwork, he was buried in Southwark. However, a coffin bearing his name was unearthed from below the alter at St Michael’s and All Angels in 1809. So, it appears that friends may have moved the body. 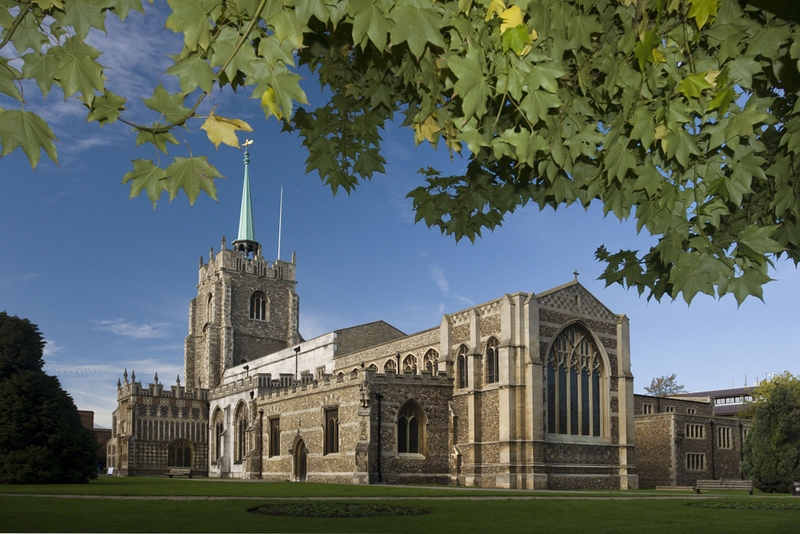 Chelmsford Cathedral is on the site of an earlier building, the parish church dating from 1223. In the C15th Century, rebuilding included a tower, parapets and South porch. The present spire dates from 1749 and is topped by a weather vane depicting a dragon. Some of the south aspect dates from the C19th when workers undermined the structure and caused a large collapse. The newer parts are of a lighter colour stone. As a memorial to US forces stationed in Essex in WW2, the American Window shows the Stars and Stripes. The arms of the US airforce and of George Washington are also shown. The upper storey holds the library of medieval books and decorated manuscripts. The library came to the Cathedral in 1677 on the death of Dr John Knightbridge. Previous PostScarborough in Yorkshire, was once a town of sailors and fishermen, then a fashionable spa town, and recently a popular, genteel seaside resort.